Particles of salt that have been infused with chile flavorings to be used as a food seasoning. 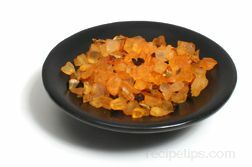 Chile Salt is often added to Hispanic and Southwestern U.S. food dishes to increase not only the saltiness but also the intensity of the items being prepared. Meats, vegetables, soups, stews, chili, baked potatoes, and salads are only of the few foods enhanced with this seasoning. 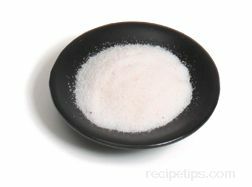 This type of salt may contain not only natural chile but also bits of other ingredients such as green or red bell peppers. 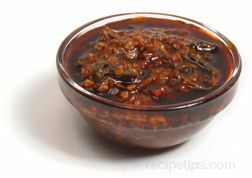 Some seasonings labeled as Chile Salt may be finely ground particles of salt combined with bits of chile or more coarse textured pieces of salt that have the chile infused into the salt particle. Chile Salt is available in many food stores and Hispanic food markets.